At the conclusion of the time of prayer and fasting, these names are then printed on the “grapes” that hang on that family’s branch (many also try to get a photo to place in each grape, which really helps make the grapevine painting ‘come alive’). By faith, we are claiming this “fruit” for the Kingdom of God. Modern church growth research has proven that the most effective evangelism method is that which focuses upon reaching the family, friends and acquaintances of your church members. This is known as oikos evangelism (after the commonly found New Testament Greek word “oikos” which means “community” or “sphere of influence”). Statistical surveys have repeatedly shown that ninety percent of all persons saved are first witnessed to by someone they know. So before we try to evangelize the stranger, we should try to reach our family, friends and close acquaintances. 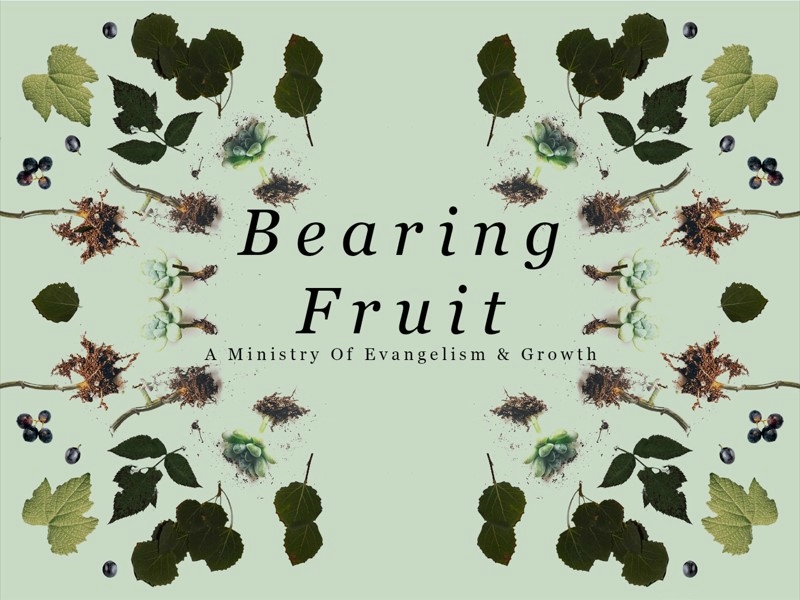 The “Bearing Fruit” program attempts to focus upon this principle of evangelism. The following description is designed to assist you in implementing this simple ministry within your local church and I am sure you will find, as others have, that the results are substantial and consistent. From your church registry or directory, make a list all the “family units” in your church (a family unit is defined as those that live under one roof). Mature, unmarried singles (16 or older) should be listed separately even though they may live in with someone else. In other words, husband, wife and young children are usually considered a “team” and all others are listed separately. On your prayer room wall (best), or in some other location that is often seen by your members (but not by your visitors), have someone paint or design out of construction paper or art board a picture of a large grape vine (obtain a photo or drawing from the internet of a grape vine to assist you). Make this quite large. The trunk of the vine splits into two large branches (stretching out to the left and right). The trunk and two main branches are labeled “Jesus.” From the two large main branches come many smaller branches – one branch for each family unit or mature single in the church. Names are then carefully printed on each branch (example: The Larry Smith Family, The Ron Jones Family, Terry Warner, Sally Nelson, etc.). Attached to each family branch is a clump of six or eight grapes (each grape is about two inches in size). The vine is also covered with grape leaves to give the grape vine a full, attractive look. 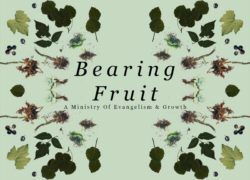 The pastor should plan to preach a message upon John 15:1-7 with the focus on our need to bear fruit – and every branch that beareth not fruit, “He taketh away.” Also, Luke 13:6-9, the parable of the fig tree that bore no fruit, can be used, as well as many other passages.